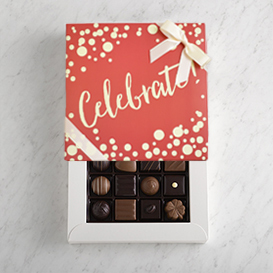 Celebrate the special moments in life with a memorable gift of handcrafted Swiss chocolates. 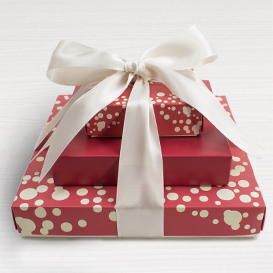 With three full tiers of chocolate goodness to share, this gift is sure to make any celebration sweeter! 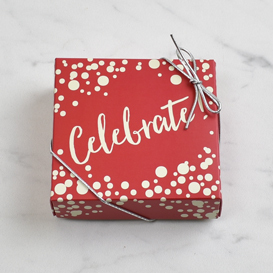 Bottom Tier: A One Layer Deluxe Collection Box - 16 pieces of our exclusive best sellers, finished with a bright and colorful Celebrate Gift Topper. 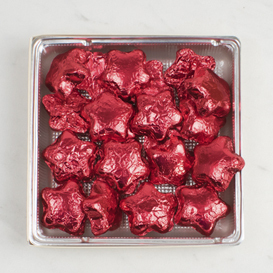 Middle Tier: A half-pound box of creamy Milk Chocolate Stars, individually wrapped in bright, shimmering red foil.